We use Brown Paper Tickets to handle all of our ticket and payment processing. Click here to buy tickets and you'll go to our page on the Brown Paper Ticket site. There you'll be able to safely and securely purchase your tickets for The Fremont Tour. Each month is considered a separate event. Browse through the calendar to find the tour that fits your schedule. When you click on that date you will be linked to the page to purchase your tickets. 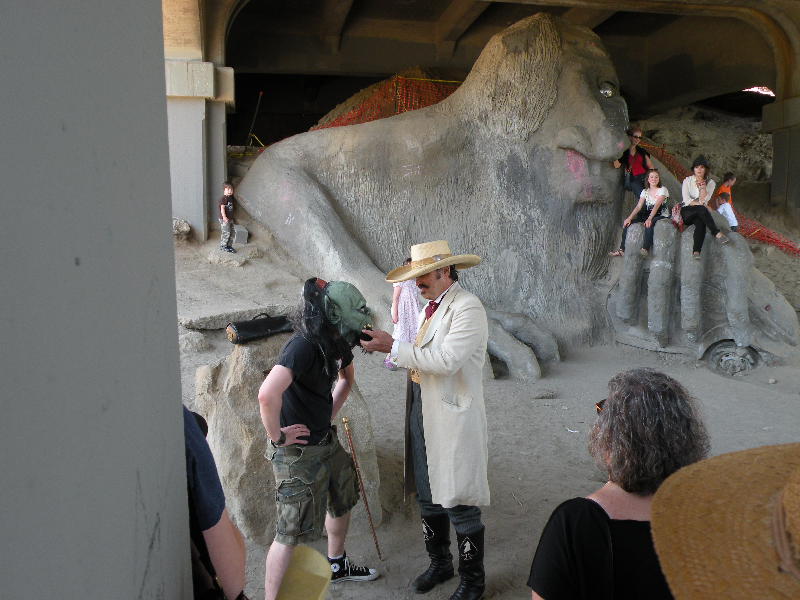 We look forward to seeing you on The Fremont Tour, a street theater. Please bring a paper copy of your ticket.